Owning property is one of the largest investments you'll ever make. I am up to date on the techniques to help market and sell your property, or, if you're a buyer, to keep you abreast of properties coming on the market within your price range and interests. I will work in your best interest to help you to reach your goal. Spring has finally arrived! Believe it or not, many housing markets in the area are a Seller's market right now. That means there are fewer homes for sale than there are buyers for these homes. Therefore, prices are on the rise. Some properties have been so popular that there have been competing offers made on listed properties, often over asking price. 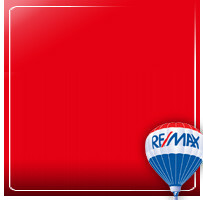 If you're a seller, you'd be wise to work with a Realtor, especially a RE/MAX agent. We bring a lot of experience to help you meet your goals, over 150 combined years of real estate sales. We can get the best price for your property within your time frame. Buyers, don't go it alone. A Realtor from our office can represent you as a Buyer's agent, no matter the property. You need someone to advise you. If the property is listed, the seller will pay the buyer's agent commission. It's a win/win. Beware of FSBO (For Sale By Owner). Hire a Buyer's agent to help you through every step of the process. You will have spent your money wisely. Buyer beware: Many of our homes in the Keweenaw were built in the late 1800's to early 1900's. Many still have some of the original "Knob and tube" wiring and it's active. Did you know you will not be able to obtain an home owner's insurance policy until the wiring is replaced? The insurance company may give you 30 days grace to get this done. Make it a priority to be sure the house has modern wiring. Another deal-killer is the presence of a main fuse panel, typically 60 amps. The panel must be at least a 100 amp circuit breaker panel. Insurance carriers will also be critical of the roof. Our area doesn't give you much profit room unless you can do a lot of the work yourself with the roof & mechanicals being in good condition. Spring has sprung! The leaves have finally begun coming out, the birds are chirping after the light spring rain received last evening. It's a perfect time to sell and a great time to buy a home in the Keweenaw. If you're looking to sell, we have many buyers keeping us busy; we have a good inventory, but perhaps they are looking to buy your home! Call one of our great REALTORS to take that next step to selling or buying. We're busy, but we can make room for you. Thinking of selling this year? Moving up or out, downsizing? Although there are feet of snow on the ground, spring will be here before you know it. It's not too early to get the wheels in motion. Get started by calling me or one of our other professional REALTORS. We'll get familiar with you and your property and advise you of what you can do to get ready to put your home on the market and all the steps that will follow. We have the knowledge and the experience. Put it to work for you! Buyers, in the past, when purchasing a home with a mortgage, you have had to shop for home owner's insurance somewhere in the process, usually closer to closing. I'm here to say that you should look for insurance very early in the process. Insurance companies are becoming very particular about the properties they will insure. An insurance company can run a "Clue Report" on the property to see any recent claims made on the home owners insurance. They will also ask all the right questions and perhaps visit the property to determine if you will be able to obtain home owner's insurance and how much the policy will cost. It's better to find out early in the process than near the end. Thinking of buying this year? There are plenty of properties to view on our website. We can show any property listed by any REALTOR in the area. We can work for you, as a buyer's agent. Contact me or one of our very professional Realtors when it comes time to search for your new property in the Keweenaw. FINALLY! Winter turned into SUMMER! We didn't seem to have spring. Warm weather is here, listings are coming in, fast and furious. If you're in the market to buy a property in the Keweenaw, and you need to finance, I'd suggest connecting with a local lender. Then get started. I'll help you develop a strategy for finding your dream property, from setting up a search so you'll be the first to receive notice of new listings, to helping with the negotiations, all the way through the steps to closing. Put my experience to work for you to get where you want to be. Dream with your eyes wide open and let me be your guide. It's the perfect time of year to thank all my customers and clients that have worked with me through the years. I appreciate each and every one of you. You're the reason I enjoy my job and love what I do (most days). I wish you the best in 2014! Attention Buyers! Looking for your piece of the Keweenaw? Now's an excellent time to get into the market. With interest rates still low, and selection abundant, you'll surely find something to suite your wants and needs. To get started, if you plan to obtain a mortgage, visit a lender to get pre-qualified. Finding out how much you can afford will give you a place to start. Then start your search. I can help. I can set you up to receive notices of new listings coming onto the market within your parameters. That's the start. From there, I'll set up showings of the properties you choose to see. When you find something that fits you, I'll help you, as a buyer's Realtor, with the offering price and options. Once you have an accepted offer, the wheels are set in motion to a closing date. There will probably be contingencies to be met along the way. I'll be there for each step, working through each, right to the day you close and receive the keys! Happy New Year Everyone! The real estate market continues to be busy here. If this is your last winter in the Keweenaw and you're thinking of selling, now's the time to get started. Don't wait until summer. The market is only going to heat up through spring. 2. Gather up your legal description. If you've had an appraisal, that's the most helpful document to getting the property listed. It has your legal description and, usually, accurate square footage measurements. 6. Have a spare set of all keys made. 1. You may choose to have a pre-sale home inspection: Be proactive by arranging a for a pre-sale home inspection. The inspector will be able to give you a good indication of the trouble areas that will stand out to portntial buyers, and you'll be able to make repairs before putting the home up for sale. 2. Organize and Clean: Pare down clutter and pack up your least-used items, such as large blenders and other kitchen tools, out-of-season clothes, toys, and exercise equipment. Store items off-site or in boxes neately arranged in the garage or basement. Clean the windows, carpets, walls, lighting fixturs, and baseboards to make the house shine. 3. Get replacement estimates. Do you have big-ticket items that are worn out or wil need to be replaced soon, such as your roof or carpeting? Get estimates on how much it would cost to replace them, even if you don't plan to do it yourself. The figures will help buyers determine if they can afford the home, and will be handy when negotiations begin. 4. Find your warranties. Gather up the warranties, guarantees, and user manuals for the furnace, washer & dryer, dishwasher, and any other items that will remain with the house. 5. Spruce up your curb appeal. Pretend you're a buyer and stand outside of your home. As you approach the front door, what is your impression of the property? Do the lawn and bushes look neatly manicured? Is the address clearly visible? Are pretty flowers or plants framing the entrance? Is the walkway free from cracks and impediments (especially snow!)? If you're property is located in our 4-county area, please contact a professional REALTOR in our office. They can provide you with a comparable market analysis showing you how your property compares to those that have sold in the past 6-12 months and how it will fare against the competition, afterall, it does continue to be a Buyers' Market. We'll price the property competitively to sell in your time frame. Remember the Fair Market Value of a property is what a willing buyer will pay a willing seller, neither being under duress. We'll get the necessary paperwork produced and collect all the documentation to help with the sale. Once listed, we'll get our marketing machine working on your property, taking photos, publishing them in the MLS and producing a Visual Tour of the property to be placed with many different websites. Our sign will be placed on the property. We'll put the listing in our advertising rotation, arrange for showings, negotiate offers and help you with everything from listing to closing. Sellers: Thinking of selling soon? There are a number of things you can do to make your home more desirable to buyers. Most markets in our area are in a buyers' market, meaning there are more homes available than there are buyers! You will want to have your property stand out above the crowd. The best way to sell your property quickly is to create an atmosphere that will charm buyers and make them want to own your house. You won’t get the chance to make a second impression on a potential buyer if they are put off by the appearance of your property the first time it’s seen. Follow these simple guidelines to increase your potential for a quick sale...you’ll probably find the right buyer in a very short time. Landscape: Keep lawn cut and edged. Trim bushes, hedges & trees. Remove any dead foliage and other debris. Accent corners and entry area with colorful flowers. If it’s winter, shovel the walkways. The fewer obstacles between prospects and the true appeal of your home, the better. Exterior Doors: Repair doors that close improperly or squeak. If doors are faded or dull, paint or stain for instant eye appeal. Fences, Walls: Repair any damage and paint or stain for maximum attractiveness. Driveways, Walkways: Clean all stains and mildew. Repair cracks, apply a fresh coat of driveway sealant. Exterior Structure: If paint appears dull or faded, it’s best to spend the extra dollars for new paint; at the least, wash entire exterior with a high pressure hose. Rain Gutters: Attach loose spots. Clean and touch up with paint if necessary. Roof: Check all shingles and flashing; repair if necessary. Windows, Screens: Replace all broken screens. Repair windows that stick or squeak. Thoroughly wash inside and out for sparkle and maximum light inside. Entry Light: Clean thoroughly and replace bulb(s) if necessary, making sure all lights work. Pet Areas: Be sure that hair and droppings are removed. Tidy up all toys. Patio Furniture: Clean and arrange attractively. Kitchen, Baths: Make them sparkle: Clean all appliances. Repair leaky plumbing and remove water stains from fixtures, basins and tubs. Clean and repair all tile grout and caulking. Clean off counters for spaciousness. Clean inside cabinets; remove clutter for roomy appearance. Display your best towels, mats and shower curtains. Windows, Mirrors: Make them shine! Windows and mirrors reflect light and help to make rooms look bigger. Carpets, Window Coverings: Clean or replace: if you replace carpets and window coverings, choose light colors. Paint: Wash walls that appear dull or dirty if the paint is in good condition. If not, paint rooms a lighter color so that they appear expansive. Tack down any loose moldings and glue down wallpaper that has lifted. Insert trim, if missing. Furniture: Too much furniture makes rooms appear small. Rearrange or remove some furniture to create wide open traffic flow areas. Lighting: Bright lighting attracts and creates an airy feeling. Place high intensity bulbs throughout the house. Turn on the lights for showings. Ventilate: Air out all rooms to eliminate odors, especially kitchens, baths, bedrooms and rooms that are not used frequently. Clean the curtains, drapes and blinds, wash the bedspreads. Avoid strong air fresheners to mask odors. Tighten loose drawer pulls, cabinet handles, towel racks, doorknobs, switch plates and outlet covers. Clean entire house carefully being sure to sweep the corners and dust away the cobwebs. Fumigate if necessary, especially if you have pets. Create Dream Bedrooms. Wake up prospects to the cozy comforts of your bedrooms. For a spacious look, get rid of excess furniture. Colorful bedspreads and fresh curtains are a must. Garage and All Closets. Now is the time for spring cleaning! Clean shelves and overhead storage. It’s important to make your storage areas appear expansive so remove all clutter. Reduce volume by getting rid of those items that have collected dust for years. Clean & organize tools and work areas, too. LAST BUT NOT LEAST. Let the sun shine in! Pull back your curtains and drapes so prospects can see how bright and cheery your home is. Lighten up at Night: Turn on the excitement by turning on all your lights, in & out, when showing your home in the evening. Lights add color and warmth, and make prospects feel welcome. Watch Your Pets Dogs & cats are great companions, but not when you’re home is shown. Pets have a talent for getting underfoot. Keep Kitty and Spot in a kennel, outside or out of the way. Tuck away those pet food bowls and litter boxes. I love what I do and I want to share my experience to make your dreams happen too. Dear Chris, I said it all. I recommend you! Highly. Dear Chris, Thank you for selling our land in Atlantic Mine. I was worried that living out of state was going to be a challenge and a bit of a nightmare, but our experience with you was wonderful. You always stayed in touch and kept us well-informed with emails regularly whenever there ware inquiries on the property. We are delighted that the sale of the property is done and can't thank you enough for such a smooth non-nightmare process. I was also happy to hear that the new owner of the property is very happy as well. Chris you were wonderful to work with and it was a pleasure to meet you. I will definitely call you back for possible future services! We have bought and sold many houses and Chris DeForge was the best REALTOR we have ad. We have dealt with REALTORS in Sydney, Melbourne, Brisbane (Australia), San Francisco Bay area, elsewhere, in California, New York and Texas and Chris delivered above our expectations. She genuinely cared about our needs. I appreciated Chris' professional and respectful approach. I also appreciated her helping me understand taxable value and state equalized value so I will have an understanding of my personal added tax burden. In addition, she took the initiative to file the necessary paperwork to have the newly acquired property 100% declared as household. It adjoins my current residence. Thanks again! I really enjoyed working with you Chris. You weren't pushy and I believe you really care! It took me a while to find something to my liking and you were patient with me. Thank you so much!! Chris was very informative about all the stages of the process. I would definitely use her again and would recommend her to everyone that is selling property. She is part of our family!! Working with Chris was great. After speaking with a couple of other REALTORS she was very refreshing, friendly and helpful. She worked odd hours to help me secure my property and acted quickly to help me make my offer within the first week of the listing. I would have, undoubtedly, missed this property with other REALTORS. Thank you Chris. From the first phone call, we knew Chris was someone we wanted to work with. She helped us find organizations that could use come items that needed to be donated. The seller price of the home was right on target and sold for full asking price. Actually, the first person through the home purchased it. Prior to putting the home on the market, she gave us practical staging advice, helped in filling out the forms. We never felt pressured and we were kept informed of the progress of the sale regularly. Whoever works with her will be very fortunate. We got her by chance, but another time it would by choice. Thank you Chris! It has been a joy working with Chris DeForge during the process of buying my first home. From start to finish, Chris has been hard-2orking, friendly, diligent and knowledgeable. When family, friends, or co-workers talk about purchasing a home, I will jump at the chance to tell them about my excellent experience with Chris and RE/MAX Douglass! Chris made me feel a part of this sale by explaining every detail and what would be needed. Since I am so far away, I appreciated her being accessible and knowledgeable about all my questions and able to explain so I could understand. We can't say enough about Chris with helping us through the sale or our home. Although, we already had a buyer, we were at a very stressful time with a deadline on our move to another area of the country and a new job-Chris stepped right in and took care of everything which gave us a tremendous amount of relief! She was prompt in moving forward and we had several "bumps" along the road which Chris handled with amazing ease. Chris was not just a real estate but we consider her a good friend. Her patience and sense of "calm" got us to a great end - Thanks Chris- We are continuing to use Chris on another piece of property to sell-Keep up the great work Chris! The complete sale went very smooth and both buyer and seller were from out of town-Very pleased. My buying experience was exceptional! Chris went above and beyond to meet all my needs and requests. Communication through text, phone calls, and email was always prompt and welcoming night or day, every day of the week. Paperwork and protocol was completed in record time. Chris was able to make big changes on both the lease and deed on last-minute notice! From the moment I met Chris, she was friendly, caring and kind in dealing with all our affairs. She offered he help and suggestions throughout the entire process. I grew to value her professional opinion and trusted what she had to say. Thank you, REMAX@ Not only did I find a home, but I found a friend. Thank you for your help in making our purchase, Chris. We found you to be very helpful throughout the whole process. You are a good listener, organized and professional. We appreciated your patience as we figured out what we wanted! Looking at houses was interesting and informative. I learned what I was truly looking for via this process. Chris was a Godsend during the process. She kept her mind on both my current needs and my future goals. She pointed out things I would have missed and was very helpful throughout the process. I got the house I wanted at the price I wanted because of her. Thank you! Chris, Thanks so much for all of your help with the sale of my house. It is not easy being 1,000_ miles away, but you certainly made it doable. I really appreciated your professionalism and responsiveness throughout the process. I'm so happy that we were able to find (and keep) a buyer so quickly this time around! I felt that you did an excellent job meeting my needs! You new exactly the types of houses I would really like and knew houses in and out without having to show me. I am very happy with my experience and am glad you reached out to me when you did. You were a very valuable resource. Thanks for your help Chris-house is working out pretty well! Hopefully we'll see you around! Everything went great Chris. We appreciate you and your good service and understanding. Thanks to Chris, for spending over a year with us, looking for a second home in the Keweenaw. We appreciated her time and patience. Chris did a fantastic job with the sale of our home. We always stayed connected and she was always very professional. She did us a great service. Even before we asked her to list the house, she had been showing us camps and was always available (or rather, made herself available)to meet us. I consider her a friend now and would recommend her in the future. Chris DeForge was very professional. She goes through the step by step process as to what is going to happen. She is easy to talk to and get a hold of. She markets very well. This was my first time selling property. I had talked with Barb Lewis, but she retired. Chris is a good asset to the company. I enjoyed working with her and would recommend Chris and the company to anybody selling. Thank you Chris for everything you have done to help me in this process. Our buying experience was as pleasant as possible, thanks to the help of our agent. We felt very comfortable during each step of the transaction because our agent was so accessible and very thorough when it came to answering our questions. We will recommend Chris DeForge! Chris DeForge was very easy to work with. She is very easy to talk to and no question is a dumb question to her. She was accessible at any time by cell phone, which made things much easier for questions. This was my first time selling a home and she made it extremely easy. Thank you Chris! If I am looking to buy or sell in the future, I will definitely be calling you, Chris. Thank you Again! We first requested Chris DeForge through an online website. She was referred to us by personal reference. We received a call from another agent (not knowing why Chris did not call) and set up an appointment to see a listing in Ahmeek. After driving 10 hours, our appointment was postponed, not once but three times. The home was vacant. This was the beginning of a very frustrating trip. It was, at that point, our friends suggested to get a hold of Chris. We called her personally, and things turned around totally. We found Chris to be knowledgeable and very personable. She personally guided us through this home buyer process even though we were a long distance away. Chris is an exceptional agent and now a good friend. Thank you Chris for everything. You made the process of selling the property very smooth. We appreciate all your help and were grateful for another excellent real estate transaction! Thanks again! Three years ago I tried to sell my house, but it didn't sell. Chris was my REALTOR. She worked so hard to sell it that I knew when I listed it again, I would only want Chris to sell it. She keeps in touch with me all the way through the process. She worked hard to find a buyer. She was always pleasant and professional. I would not hesitate to recommend her to anyone looking to buy or sell. This time the house sold and I know it was because of her hard work that I was able to sell my house and move on with my life. Going into this process, we didn't realize how much paperwork was required and soon realized we made the right decision to use a real estate agent. Chris was very easy to talk to, right from the beginning, and we all seemed to on the same page when it came time to decide how much to sell our home for, and when to sell. Chris gave us plenty of time to fix up the house before a showing. She made the paperwork process a breeze. Her suggestions for "staging" our home were worth the extra work. Chris was very flexible, meeting at our home, after our work hours and accepted several forms of communication for quick responses. We sincerely appreciated all she has done to help us sell our home. The year before we put the house up for sale, Chris came to our home and advised us on what to do to make it ready to sell. That, in itself, is awesome. We followed her advice to the letter. She did not tell us to put some extreme price to begin with, but worked with us discussing best price to start with due to our needs and the reality of the local market. Then, she put together an outstanding portfolio of information and photos which she then placed on several websites and in the multi-listing. She generated viewings of our house even in the dead of winter-and the worst winter in 35 years! I was concerned that it may take a year or more to sell-Chris did in in just one season! Chris went above and beyond what many agents would do taking us to countless properties and navigating the undeveloped terrain in remote parts of Keweenaw County. Chris also was very attentive to detail shepherding us throughout the purchase process. Chris remained objective and unbiased throughout the tedious negotiation process, providing recommendations when appropriate while allowing us to sheet the transaction. I would recommend Chris to any future buyer or seller! Chris made us feel very comfortable from our very first meeting. She explained everything very thoroughly and was prompt with answers to our questions during our negotiations. She was like a friend looking out for out best interests rather than her own (I have been there!). We are more than happy to share our opinions with Chris and would definitely recommend her should the occasion arise. Chris was extremely helpful in the entire process. She knew what questions to ask in order to help us find what we wanted. She was very patient and even drove out to the middle of no where to look at a house. She was very helpful in the negotiating process, showing us comparables and helping us reach a fair price, We asked many questions in person, and via email and she responded quickly in a helpful manner. While looking at houses, Chris pointed out various characteristics that we may not have noticed. We had a very positive experience. Thanks again for contacting my brother when circumstances had changed with the property. I appreciate your professionalism and interest. We have had MANY real estate agents come across our paths in the last 10 years and never have we been so impressed as we were with Chris. From the first day we met, she was friendly, honest and welcoming! She makes you feel like family, that she cares about your best interest, not just dollar to be made. Often a rare quality today. She was very knowledgeable and helpful. Always accessible, GREAT EXPERIENCE!! Wish we had a Chris where we live! Chris did an amazing job at staying 'neutral' but keeping the sale moving forward. She stayed very patient with a very difficult seller and a sometimes very impatient buyer (me!). Overall, it was a very painless transaction. I would recommend her to anyone. We felt Chris did a great job advertising. We were surprised at all the showings, many more than we expected. Our listing strategy worked. Chris did a great job keeping us moving forward and moved things along quickly. Chris DeForge is both very professional and knowledgeable. It was very easy to get in touch with her, whether it was over the phone, through email, or in person If there were any questions we had about a home, that wasn't know at the time of the showing, she'd get us answers, and provide us with details, papers, etc., very quickly. The best part about working with Chris was that she had no problem working around our busy work schedules. Often we were able to schedule a viewing in the evening or even on the weekend. She was extremely patient with us, when it came to the number of homes we looked at, until we found the right one. It was a pleasure working with her, and we have no problem recommending her to others and would definitely work with her in the future, with any other real estate transactions we may have. We had recently worked with a real estate agent to sell our home in Grand Rapids and were VERY reluctant to pursue buying a home through a real estate up here due to our poor experience. Chris was absolutely wonderful? She never made us feel rushed and really listened to what we were looking for. She was available when we most needed her...evenings and weekends. Thank you for all your hard work and treating us like family. We've been interested in owning a home in Houghton for quite a few years now. Since our main residence is in Florida, we were looking for a second home that we could use whenever we came to visit Houghton. We've looked at many properties over the past two years, always looking for the one we wanted to call our home away from home. Since we are not in the local area, Chris was great at sending us information and pictures about properties we were interested in. We really liked her honest feedback. We have now successfully purchased a wonder home in Houghton Chris was great every step of the way (even now after the closing) and was very patient during this long process. We have had a great experience and would use Chris again in the future. I knew nothing about buying a house. Chris was very helpful by asking what I was looking for, my price range; and where I wanted to live. She was very helpful in explaining each step of the process. The service I received while up there in the U.P. was great, just as good as anytime I called Chris. A real super lady. All services I received were just top shelf. THis is the third house I've sold in my lifetime. Two were downstate. If Chris would have been available there, she would have been my REALTOR choice. She is awesome and knows her stuff. God bless her and may her professionalism continue to grow. She's the best. Chris was excellent!! This was the first time I've sold a house and she was terrific every step of the way! It took a while to get a buyer, but she always had people looking inquiring and so forth. She was patient with all of my questions & concerns & handleed everything with extreme professionalism. We would absolutely use Chris again if we were to sell our current house or property and will tell our friends and relaties of the excellent service she provides. Our agents were very adept in the entire process from helping us establishing a realitstic listing price, to negotiating a successful sale, to guiding us through the closing process. Their knowledge, expertise and experience were key in getting our property sold. 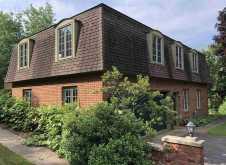 They were exceptional in their suggestions and explanations, particularly in the sale and closing process. A big thank you for a job well done! We enjoyed working with Chris. We live in Detroit and called her all the time for her advice. When we found the house, she walked us through it with no problems; offered her advice but let us decide what to do and made it happen. She also sat with us and made sure all the utilities were taken care of, which we appreciate. We really have our house and hope Chris come to visit when we are there. Being a first-time home buyer, I wasn't sure how the process worked or what I was getting into. I did, however, know who to turn to for help. Through personal experience, I knew Chris would be hard-working and attentive to my needs. I also had only glowing recommendations from other people who have used her as an agent. During the whole process, she worked hard to ensure I knew what to do for each step. She was very knowledgeable, she made sure to get to know my likes and dislikes and what house would be a good fit for me. She was always accessible, whether it was through email or the phone. She was also always willing to work around my timetable since I work during the day. Chris was there for me very step of the way and I couldn't have asked for better. I would recommend Chris to anyone looking for an agent and I will definitely use her for any furture real estate needs! Chris DeForge is very professional in what she does, very knowledgeable about property and very down to earth personality to relate to a customer's needs and wants. 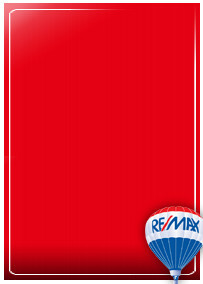 RE/MAX Douglass has the best website of any I've seen. It is very user-friendly. Chris DeForge did a fantastic job for us. Since we were trying to buy a home in the Keweenaw while living 500 miles away, it made the process much more dependent upon the internet and email. Chris never failed to respond to my email communications. We had limited days to spend in the Keweenaw before making a decision, and Chris worked diligently to schedule a multitude of showings for us. In the end, we found a nice home for ourselves, and we're not looking for something else for my mother. If everyone in the Keweenaw is as nice and helpful as Chris, we've chosen the right location to call "Home". This has been an interesting experience for us. Chris has helped us out from the beginning. After setting us up with a full day of showings, we chose a For Sale By Owner. We asked Chris to stay on as our Buyers' agent, and are we ever glad that we did! She helped us with the negotiations and getting through sticky home inspection issues. Her sense of humor and stick-to-it-iveness were welcomed as we worked through the process from both the upper and lower peninsulas! Thank you does not seem like enough to say for everything she did for us. Thank you! All in all, I couldn't have asked for a better agent! Chris was always prompt, on time and easy to talk to. no house I wanted to look at was a problem. She was happy to show what I wanted to look at. She also helped me with the purchase process; being a first-time buyer, that was great. When Chris went on vacation, she always answered my calls, even though it was not expected of her. She was great at scheduling walk-throughs on the weekends which made it easy to see multiple listings as I was traveling 5&1/2 hours. In the end your company is very fortunate to have Chris representing you. During this difficult selling period-always kept me encouraged and informed. We were very happy with Chris DeForge as an agent. We felt she made the right suggestions for preparing our house to sell. She was down-to-earth and professional. Christine DeForge was very helpful in our selling experience. She communicaed with us on a regular basis as to any activity on the house and kept us informed throughout the whole process. She was always available for any questions or concerns we had. She was very knowledgeable and helped us through the entire selling process. I would highly recommend her to others. What can I say, Chris is awesome! As far as I can see, Chris went above and beyond to help me find the perfect home for me and my son.